I’ve been studying pretty much non-stop since I moved back into Ireland in 2007. I started by doing the last stage of my Theology degree by distance learning and then straight away started the Masters programme. If you read my Next Big Thing post I mentioned that the project I was about to embark on was my M.A. dissertation. Well I pondered it for a while and in the meantime had to majorly edit/rewrite a paper I’d already submitted. I’ve been working on the MA for almost 4 years. My eye trouble slowed me down and after the cornea transplant I never really caught up. Then a year ago I started to write fiction and I’ll be honest, I let it distract me even further. It was too enjoyable to resist. 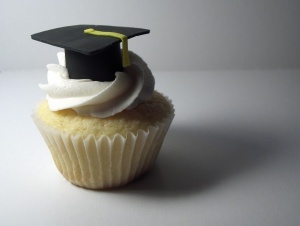 If I’m gonna graduate there must be cake! So I’ve decided to take a long break from the M.A. Today I handed in the last paper – for now. Presuming I pass it, I’ll be able to graduate with a Post Grad Diploma in Applied Theology and because I’ve finished properly I can step back into the programme to do the dissertation stage and finish the M.A. You know some decisions in life that are really hard? Well this one wasn’t. It was simple. Bottom line I want to be free to write about what two people on a park bench might say to each other. Next to The Bible – the best book ever! I am so grateful to the team at the Irish Bible Institute who’ve always been so supportive and when recently I was going to throw the towel in, they encouraged me to finish well and bow out in a way that left the door open for me to continue where I left off. 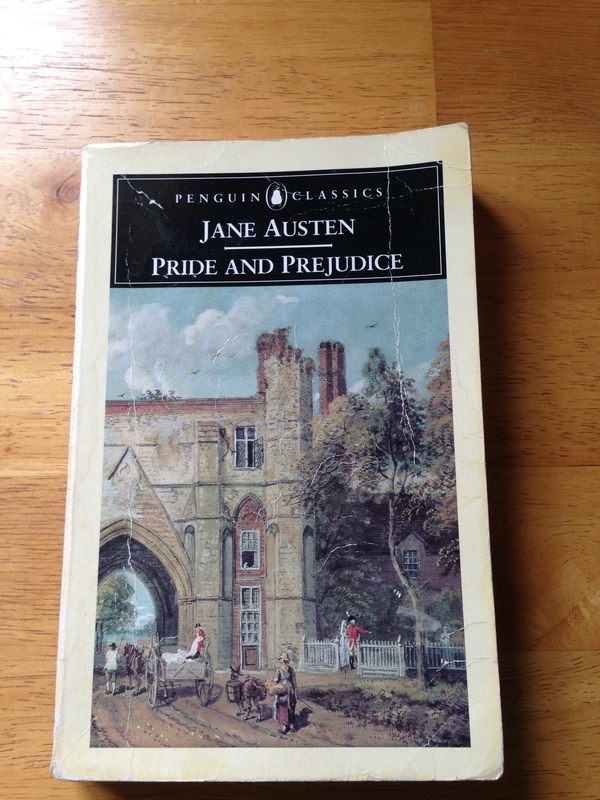 So… I can finally read Pride and Prejudice again. Before my studying started I read it every year since I discovered it. I plan to read lots of other stuff too and write plenty as well. First stop – The Tribe Writers course by Jeff Goins. I’ve registered but til now have only dabbled. Very best of luck with your writing. There is a sense of freedom I have also experienced when you finish something you’ve been struggling with and you can dedicate yourself what you really want to do at that point in life. And back to reading fiction…it’s a joy after textbooks and heavy theoretical analyses….Enjoy! Thank you so much Olga. Apols for the delay in responding. Pingback: Turn around when possible… | Just another Christian woman... talking through her hat!